Many people think pest control in Frisco, TX is something they only have to worry about in the spring and summer; but, in reality, pests are a problem year-round. In the colder months, your biggest pest problem in North Texas is going to be with the kind of pests that want to be in your warm house with you. Which pests are looking to hunker down for the winter with you? Rats, mice, raccoons and squirrels will enter your home through any available opening to escape the cold and, once inside, they’ll shred any materials they can find to build a nest or they might even set up housekeeping inside old cardboard boxes. Termites and carpenter ants are probably already inside your walls eating your wood and winter weather won’t slow them down much. They’ll continue their destructive behavior year-round. Rodents and other furry pests can access your home through cracks, gaps and holes in the outside of your home. Squirrels, raccoons and spiders can reach your roof from tree branches and then enter your attic area through vents and other openings. 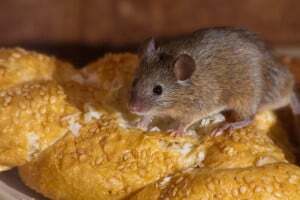 Smaller animals, like mice, don’t need much of an opening to squeeze through into your home. Termites and carpenter ants usually start at your foundation and eat their way up and into your walls. Even experts in pest control in Frisco, TX know there’s no way to keep every pest out of your home; but there are some steps you can take to reduce the number of winter guests you host. Walk around your home and seal any cracks you find with weather-proof caulk or expandable foam. Check seals around doors and windows and replace torn screens on screen doors. If you have a chimney or attic vents, cover them with mesh to let air flow in but keep critters out. Keep outdoor trash cans covered tight. Make sure you keep firewood, shrubs and wood mulch away from the foundation of your home as these will attract termites. Water is also an attractant for every kind of pest so fix any leaks outside and inside your home. If you suspect you have a termite infestation or carpenter ants, don’t wait to call a pest expert. Termites especially are not a do-it-yourself project. There are no products sold at your local hardware stores that are as effective at killing and preventing termites than the products professionals use. You can set traps for rats and mice but even if you catch a few, you likely still have more in your home. A pest expert has the right bait to rid you of your rodent problem quickly. If you want real results for your winter pest problems, call us at Safe Pro Pest Control in Frisco, TX at (972) 435-0700. You can also visit us online at www.safepropest.com to learn more about us and to find valuable coupons.